Getting back to our story, William Gray’s younger son, my Great-grandfather Robert Patterson (1844-1928), was not old enough to enlist with his father and brother in 1861 and had stayed home to help his mother with the family farm. 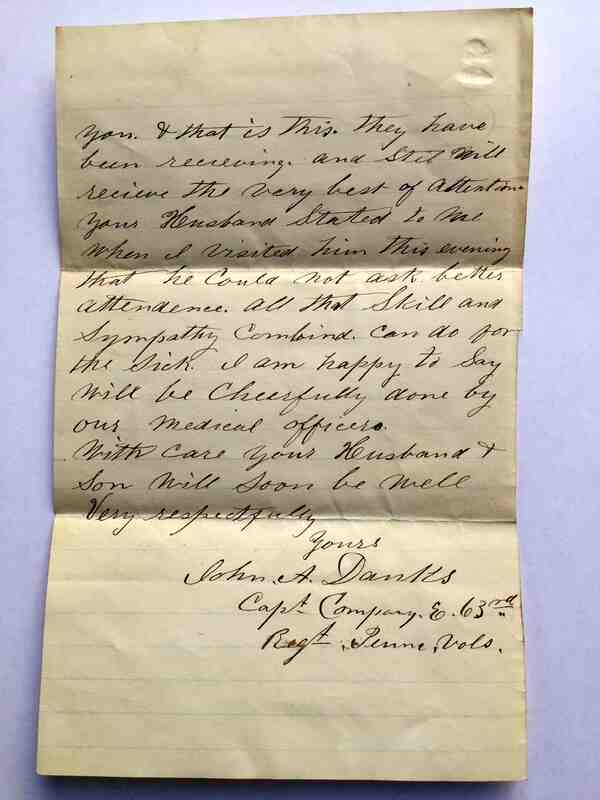 When William was discharged November 15, 1863 and returned home early on a surgeon’s certificate, Robert was free to enlist and join, in this case another available regiment. That was 1864, the final 8 months of the war; Robert was only 20-years old. Before we return to William and Samuel, let’s tackle the question you might have concerning the title of the book, Under the Red Patch. A statement by Brigadier General D.B. 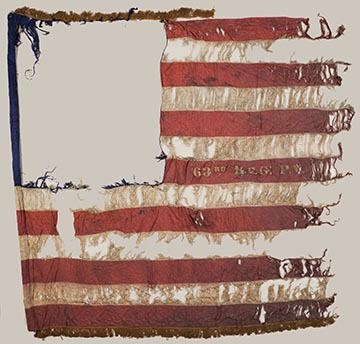 Birney on December 16, 1862, after the great Union losses at the Battle of Fredericksburg emphasized the importance of the red patches and read in part: The old regiments that have lost so many gallant men, will still maintain by renewed energy their old reputation. The old standards are safe in their keeping. 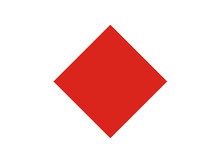 The new regiments have shown themselves fully worthy of the ‘Red Patch’ and I, in the name of the Divison, acknowledge them as members in full standing. Let’s now consider the enlistment periods of father William and son Samuel. According to eminent Civil War historian Samuel Bates, W. S. Gray and Samuel A. Gray were officially recruited at Etna and Sharpsburg, riverside suburbs northeast of Pittsburgh on September 8, 1861, although Hays indicates that the makings of Company E had been organized earlier at a meeting on August 1. Some of the 68 men had been members of the Home Guard, of which Etna native First Lieutenant John A. Danks had been in charge. 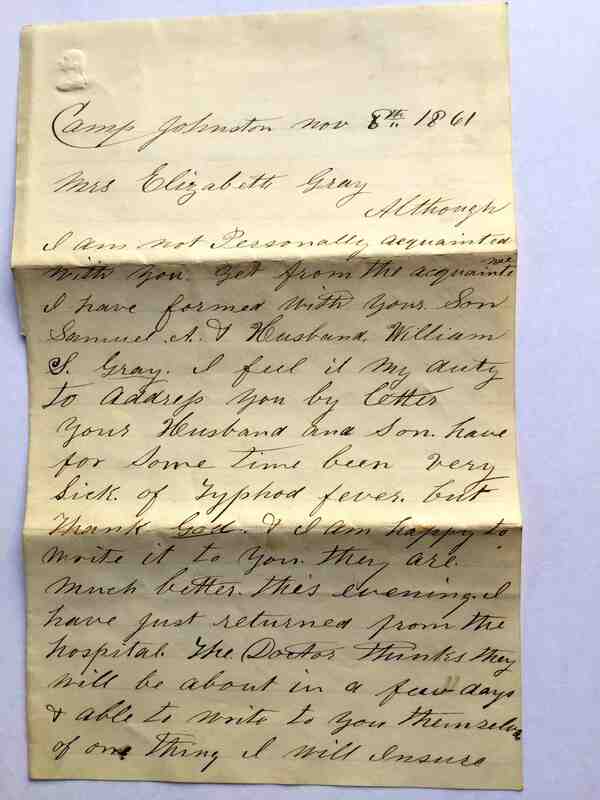 He was the kind officer who, when William and Samuel were suffering with Typhoid Fever, November 8, 1861, as you’ll see below, wrote to their wife and mother back home, assuring her that they were being taken care of. Sometime in August, Col. Alexander Hays, later General, visited the small camp, liked what he saw, and persuaded Lt. Danks to march his men to Camp Wilkins, across the Allegheny River, to join the full 63rd Regiment that he was organizing. Danks was then promoted to Captain of the new Company E. Our author Gilbert Hays says, “During the time they were camped, they were drilled and under military discipline, and were most royally cared for by citizens of Etna and the surrounding country, who furnished them with all kinds of eatables and provisions of the the best quality and in most lavish abundance.” This company was mustered in on September 8, which means they were “assembled in preparation for battle” and placed on a train bound to defend the nation’s capital to serve with the Army of the Potomac. This was an answer to a call by President Lincoln earlier in May for 75,000 volunteers for a period of three months to respond to the small, initial conflict surrounding the secession of the South and subsequent bombardment and surrender of Ft. Sumpter on April 12. The term of service was eventually lengthened to three years. William would have been 45 years old with a wife, four children back on the farm, including 17-year old Robert who would run the farm. As we said, William would be honorably discharged in the fall of 1863 and Samuel would be captured by the Confederates at the Battle of Chancerlorsville, VA, in early May of that year. After going through the parole camp process, Samuel was released and eventually honorably discharged with his company on September 9, 1864. While Gilbert Hays’ book is full of interesting stories and personal details of what our William and Samuel must have experienced, the reporting of the “official” accounts of battle are found in Civil War historian Samuel Bates voluminous writing, available at libraries and history centers. The Hays account contains the actual narrative of William H. Morrow, a 63rd Regiment musician from Company A, who made copious entries in a journal. I feel Under the Red Patch makes for more interesting reading than Bates, although it’s usually difficult to discern who’s voice we’re hearing in the story telling, Morrow’s or Hays. But, as others’ personal memories who were in the regiment are also involved, it really doesn’t matter in the end. The history and methodology of the book is found in its introduction. 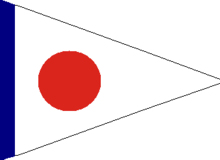 But, let’s get on with the fascinating story of the 63rd Regiment. When we were notified that we were to leave, many of the men living near wer permitted to return home and bid farewell to their families. It was a sad parting, as no one knew if he would ever again see those who were near and dear to him. When we arrived at the train, we speedily embarked and then occurred a most touching scene. Fathers, mothers, wives, children, brothers, sisters, and other friends were lines up on each side to bid the last farewell to their loved ones. Here an aged grandfather stretched a trembling hand to grasp that of a dear son, while he supported the weeping mother with the other arm. During the night the water in the car tanks was exhausted, and as soon as it was known, the men suddenly became extremely thirsty, and did some vehement swearing and complaining. While the train lay on a siding near Huntingdon, a poor fellow of Company G got out, and while standing on another track, was instantly killed by a passing fast train, and this threw a damper over all. Later on, after we had become inured to death, such a thing would not have caused a ripple of feeling, but we had not yet grown hardened to such scenes. We were certainly a motely crowd, as we had not yet received uniforms and were told we would receive them at Harrisburg. We all wore our poorest clothes, expecting to throw them away when Uncle Same would present us with “hand-me-down” suits, but in this we were badly fooled, as we did not received our army clothing until well on in September. We had not been supplied with arms yet, but most of the men had provided themselves with revolvers, having heard how the 6th Massachusetts had been treated in Baltimore, and we were anxious to have something to protect ourselves with in the hot bed of secession. Just as the sun was climbing in the eastern horizon, we pulled into Harrisburg and were glad of the permission to stretch our cramped and tired muscles. Those possessed of any money hurried off to satisfy their wants, and here the Harrisburg people showed their particular custom in charging most inordinate prices. About noon we were marched aboard a train consisting of cattle cars to be taken to Baltimore. Governor Andrew Curtin came down to see the boys after they embarked. The soldiers were very indignant at being placed in cattle cars, and when they saw the Governor, they set up an excellent imitation of the voices of the usual occupants of these cars. Such a braying like mules, bellowing like cattle, bleating like sheep, and even squealing like swine probably never before greeted the ears of the old war governor. The men of the regiment changed trains in Baltimore and finally reached the Capitol, where they remained at Camp Sprague for 11 days. Eventually they were marched to the arsenal where they received their guns. From there, the men were ordered to Camp Hays, where they were stationed for three weeks. 6:00 am – the bugle sounds reveille and all the martial bands play well-known songs. The sleepy men come out of their tents to fall in line for roll call. 7:00 am – the breakfast call is sounded, and each man, with tin cup and plate in hand, goes to the cook house for strong, black coffee and a chunk of mess beef, which they boys called “sea horse,” and two or three pieces of hard tack, small, flat, brittle biscuits that often carried the names “dog biscuits”, “tooth dullers”, “sheet iron”, “worm castles”, or “molar breakers”. Those with money could spread butter on the hard tack, which Hays claims, “Would turn the stomach of any but a hungry soldier.” After breakfast, guns were cleaned and tents put in order. 8:00 am – Guard mounting begins, with each company furnishing a certain number of men for inspection. All guns are to be “clean and bright, buttons and brasses shining, soes blackened and polished, and clothing brushed,” according to Hays. Those missing the mark are sent to the guard house for extra duty. 9:00 am – Companies are marched to surrounding fields for drills in the manual, or handling, of arms and manuevers. Noon – lunch generally consisted of bean soup, crackers, and a small piece of meat, usually beef. 1:15 pm – the bugle sounds and the men are to prepare for regimental or brigade drill. 2:00 pm – “With a band playing at the head of each regiment, the men would march to the field and for hours practice movements and evolutions which enable a large body of men to act in concert like a piece of machinery,” says Hays. 4:00 pm – return to camp for a short rest before preparing for dress parade, perhaps the “most beautiful and imposing of all military ceremonials.” Imagine 1,000 men standing at attention while the officers marched forward to salute their commanders. 8:15 pm – a martial band plays the tattoo and the evening roll was again called by company streets. Variations to those daily routine would come with inclement weather, and with drills cancelled, the men could remain in their tents to mend clothes, write letters, or read. Visiting among tents was permitted. Sundays presented opportunities for chapel and prayer meetings. Hays describes Sundays as the “highest joy” for many. The regiment commander, Col. Alexander Hays of Pittsburgh, is described by his son Gilbert, the author of Under the Red Patch as, “A thorough soldier, hot and fiery and impetuous at times, but couteous and kindly withal; he infused his spirit into his men, and it was this peculiarity that made the 6rd one of the most famous regiments in the war.” The story goes that drinking became a problem in the camp, and Col. Hays soon forbid such practice. It wasn’t long, however, that some of the men were again misbehaving under the influence. The brass could not figure out how the alcohol was getting into camp, until one day a soldier accidentally dropped the watermelon he had brought back from town. There amid the ruined fruit was a bottle of contraband and the answer to how it was being smuggled into camp. If Col. Hays thought it was amusing, he didn’t show it. Gilbert Hays tells of the scene on September 28, 1861, when camp was broken and the regiment marched through the city of Washington to the immense ferry boats waiting to carry them across the Potomac to Alexandria. He describes them as “stowed like sardines in a box.” The men were ordered to stay on the boats until morning. As the boats empty, Hays remembers seeing Confederate rebels running away west toward Manassas. Unfortunately, some of the southern homes and buildings became curiosity spots, as the new arrivals hunted for souvenirs to send back home. The men were soon marched out the Leesburg Pike to a long hill about 2 1/2 miles from Alexandria and ordered to pitch their tents. This camp was known as Camp Shields, named for the honored Shields family of Sewickley, a suburb of the regiments beloved Pittsburgh. They remained until October 14, 1861. The Civil War Trust website describes the seemingly impenetrability of the area around the capitol city at that time: Washington, D.C. was the most heavily fortified city in North America, perhaps even in the world. According to the report of the army’s official engineer, her defenses boasted 68 enclosed forts with 807 mounted cannon and 93 mortars, 93 unarmed batteries with 401 emplacements for field guns and 20 miles of rifle trenches plus three blockhouses. Moreover miles of military roads, a telegraphic communication system and supporting infrastructure — including headquarters buildings, storehouses and construction camps — ringed the city. They drove slowly by while the ragged boys stood in picturesque groups, backed up close to each other to hide as miuch as possible, the dilapidated condition of their wardrobes. This was the first time many of us had seen the President, and we all agreed that a more homely man would be hard to find. Hays’ feelings show as he writes, “Many of the wives and little ones of the soldiers were beginning to feel the cold grip of poverty and were suffering from sickness, cold and hunger; those big-hearted Union savers who said, ‘Go boys, go and save our beloved country and we will take care of your families and see that they do not suffer,’ had forgotten their promises and the soldiers’ wives and children soon had nothing to depend upon but the scanty $13.00 a month which were paid him at irregular intervals.” As if that weren’t enough, wartime inflation pushed all the necessities of life upward and sometimes out of reach. Some soldiers grew angry, some just sad, but all surely became homesick and often despondent. We’ll discuss William Gray’s role as teamster in a little bit, but he surely would have been busy that day. Marching down the old Leesburg Pike, past Hunting Creek, noted for immense flocks of ducks and geese, the regiment camped on the farm of George Mason, an avowed Confederate and supposed cruel slave owner. 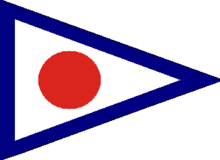 This site became know as Camp Johnston, not to be confused with other military installments with similar names. The Union had a station at the Lancaster, PA, fairgrounds with the same name, as did the Confederacy near Raleigh, NC. The men of the 63rd referred lovingly to their ground as “Camp Pennyroyal.” They remained there until St. Patrick’s Day, 1862. The weather in Northern Virginia in October remained fair, according to Hays, but November brought in cold rain storms almost every day. The men began to winterize their quarters. Small log structures were built, covered by their canvas tents, and stick and mud chimneys were added to one end. Hays reports that the chimneys often caught fire and the roofs with them. The men awakened at night by the smoke and flames would quickly knock over the chimney to save the quarters. Of course, the men would play pranks on one another, sometimes placing boards over the top of a chimney and laughing hysterically as they watched the occupants scramble out of the smoking cabin. Sometimes, blank cartridges would be thrown down the chimeny and into the fire. Likewise, the sleeping soldiers would make a hasty exit amid the fireworks. other people in different lands. Unaccustomed foods, contaminated water, malnutrition and undernutrition, poor medicines and medical care, exposure to the elements of weather and the stresses of marching and fighting all contributed to the increased incidence of disease and its attendant morbidity and mortality.” WebMD reminds us that there were no antibiotics in 1861: “Prior to the use of antibiotics, the fatality rate was 20%. Death occurred from overwhelming infection, pneumonia, intestinal bleeding, or intestinal perforation.” Infected soldiers were isolated as much as possible in medical tents and given lots of liquids to wash out the bacteria. Even today, with antibiotics, improvement takes several days and complete healing, 10 days, although approximately 3%-5% of patients become carriers of the bacteria after the acute illness. While both William and Samuel survived, we don’t know how long it took for them to recover and if they ever fully recovered. Did William’s early discharge on a surgeon’s certificate have anything to do with his weakened condition? We should remember that dysentery and diarrhea were the biggest killers of Civil War soldiers. Likewise, the common cold and simple infections often led to pneumonia, another big killer. Measles took its toll, as did smallpox and other diseases. On Sunday, March 16, 1862, the men of the 63rd were ordered to pack for leaving Camp Johnston the next day, where they had been since October 14, the year before. They were to prepare rations for three days. Surely this would be the start of real warfare for them. All of the comforts sent from home during the winter months would have to be left behind: extra blankets, quilts, personal items. A total of 985 officers and enlisted men left on Monday; just over 100 marched back past the old camp on the return 5 1/2 months later. Would William and Samuel be among them? Hays’ book turns grim a this point. During the five days in this camp, the famous fight between the ironclads Merrimac and Monitor took place at Hampton Roads. Hays reports how excited the men were to hear of the unique battle, although both sides claimed victory. 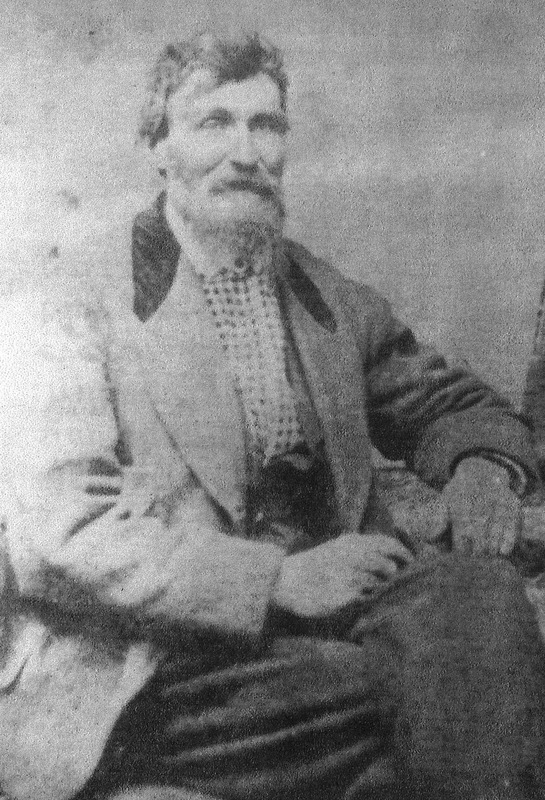 Civil War records indicate that William Gray’s job was that of teamster. This was often a behind-the-lines, safe position to be in. But teamsters also came under the threat of attack and robbery by enemy forces and desparate men from their own side. Unfortunately, the teamsters also had the sad duty to hauling dead soldiers from the battlefield and could be fired upon while doing so. Did William land this job because he was older and perhaps more experienced handling wagons and animals? He was three years older than even the commander of the 63rd Regiment and a long-time farmer. Or was it William’s experience in negotiating for and handling supplies? Maybe both? Although a mule was not as steady under fire as his half-brother the horse, mules were generally used in preference to horses for [pulling] wagons because they could more readily endure the rough roads, poor fodder and generally hard treatment. Mule teams were hitched to wagons in three pairs, the lead pair in front, then the swing pair, then the pole (or wheel) pair nearest to the wagon. The driver, often called a “mule skinner,” rode the near (left) pole mule, which had a saddle, and guided the lead team with a long single rein that traveled through loops on the harness of the swing pair to the bit of the near leader, from which an iron rod led to the bit of the off (right) leader. A steady pull on the rein while shouting “Haw!” would head the team to the left; short jerks and “Gee!” would head them to the right (“Yay!” meant straight ahead.). For downhill travel, a wagon brake could be operated from the saddle. We can’t be sure that William’s wagon was pulled by mules or that he was called a “mule skinner.” We do know that horses were often reserved for the speed required of ambulances and heavy artillery. 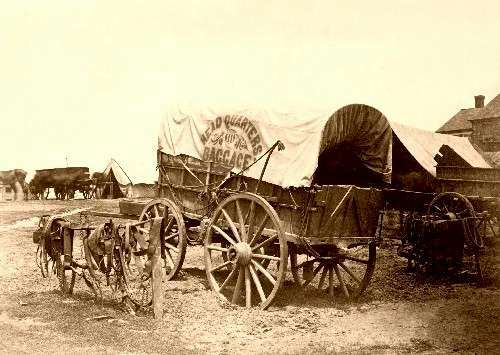 Each company, ideally, had at least one teamster to drive the company wagon and tend the animals. Hays remembers the road to Richmond filled with a thousand wagons and ambulances. Horses and mules to pull them were estimated to be 45,000. Here’s where the job description gets a bit silly. Gilbert Hays goes to some length to support his contention that Army mules are “peculiar,” “ludicrous,” and “cussed,” to repeat a few adjectives. He even claims, “In civilan life the mule is easily managed, but as soon as he belongs to the army, his character changes and his whole being seems given over to depravity and general devilishness.” Could our William have related to this description by Hays: “It was as good as a circus to see a teamster hitch up his mules in the morning, and everybody enjoyed the sight save the teamster, especially when the mules made up their minds not to be hitched, and men who never swore before would give way to the wildest profanity, and it was a common sight to see a teamster limp away rubbing himself on account of a severe kick from a mule, and at the same time hrling back terrible curses at the offender. Perhaps the most annoying thing about mules for the average infantryman, according to Hays, was when the soldiers would attempt to sleep after a long day of marching and “as if by a preconcerted arrangement of all the mules in the division would decide to hold a concert. That would end the sleep for the night.” One mule, whom Hays calls “a loud-voiced chap with a baritone solo” would soon become “a duet, then a trio, a quartet, and [eventually] a grand chorus.” Hays called it revenge for being worked to death and poorly fed. And, if they ever got loose, they could level the campground as if it were fun. W.H. Morrow, of the 63rd Company A, gives his experience with a mule during the summer of 1862 in the swamps along the James River. He says, “I was often scared while in the army, in fact I never went into a fight that I was not scared, but this particular scare was one of the meanest and one of the most humiliating kind, and was caused by a mule.” He relates how a soldier could lose everything fighting in the swamp: blankets, tents, equipment. Worst of all, “Our nerves were strung up to their highest tension.” At the end of one day, as it was raining, he sought shelter in a wagon under the canvas cover, even though that was strictly forbidden. It was usual for the teamster to unhitch the mules but tied them near the front of the wagon. That night, lying in the wagon, listenening to the rain, and falling into what he calls “a delightful sense of comfort.” Well, sometime during the night, one of the mules stuck his head in under the flaps to where his head couldn’t have been more than six-inches from Morrow’s face, “He began to bray in the most unearthly manner.” Morrow couldn’t remember how he got out of the wagon, but he says, “I do know that I was at least twenty-feet behind it when I awoke running.” Of course, the rest of the mules in camp joined in the chorus, and Morrow quickly crept back to the wagon before any of his buddies could see and repeat the story. To better understand the life and duties of a teamster, the online article “Daniel E. Bruce: Civil War Teamster” is recommended. It’s found on the Indiana University at Bloomington website. Despite what our author Hays describes as “torpedoes in the roads and around the springs and wells,” what today we would call “land mines,” the Confederate troops eventually abandoned Yorktown in what might be called a relatively “bloodless victory.” Fifteen miles further along the James River, on the road to Richmond, in early May of 1862, the 63rd found themselves on the edge of the ongoing “Battle of Williamsburg.” By the time the regiment could maneuver into position in the cold, drizzling rain, night had fallen. Some of the men found themselves “knee-deep in water, without food, and without fire.” The good news was that, during the night, the rebels had retreated toward Richmond, but the bad news was that they left their dead unburied and wounded on the battlefield. Hays puts it this way: “Next morning, as we moved on to the field, the sight that greeted our eyes was a most ghastly one, hundreds of dead of both armies were strewn in every direction, trampled on, and half buried in the mud.” I won’t repeat further description of the wounded, including horses and mules, but the 63rd joined in digging long trenches where the dead were laid side-by-side. Hays calls Williamsburg, “One of the most interesting towns in Virginia.” Furthermore, he says that after Union victories at Yorktown and Williamsburg, “Our camps began to fill up with negroes and runaway slaves.” Of course, the women and children were closely guarded while the able-bodied males were usually put to work in camp. The remainder of May, 1862, saw the 63rd continuing to move up the James River to Chickahominy and eventually the Battle of Fair Oaks. Though most of May 30 was a quiet and peaceful day, it was terribly hot. About 3 o’clock in the afternoon the sky “assumed a coppery color, which was frightening to behold.” Then the rain came in sheets as the wind blew and the thunder and lightning commenced. As if a hurricane, the storm continued all night, and a number of men in the division were killed by lightening. More died in battle and disease at Fair Oaks. When it was over in June, the 63rd had lost 21 men with 81 wounded and 17 missing. When they reached Yorktown, they boarded boats to return to Alexandria and were soon called to point west toward Manasses by rail. The bloody Second Battle of Bull Run, or Groveton as it’s often called, awaited them. What once was 1,000 men strong, the 63rd now numbered only 300 who could be thought of as fit for duty. On the morning of August 29th, these brave men were ordered to charge the Confederates, which probably numbered over three times their men. Hays rightfully boasts, “The charge of the 63rd against that rebel line was one of the most daring deeds of the war.” When the battled ended and the report was filed the next day, the Union forces had lost 1,481 men, with 7,627 wounded and 89 captured. 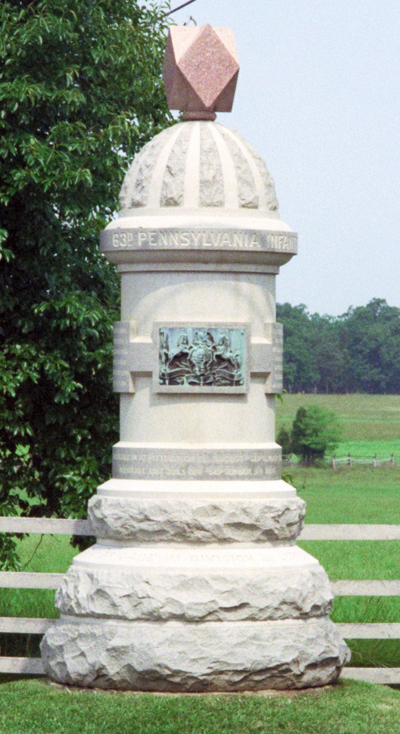 The total was 9,197 but the official record states, “The 63rd Pennsylvania and the 40th New York suffered the most of any.” After the death of the division’s commanding officer, General Kearny, and the wounding of the 63rd’s Col. Hays, the entire division was sent back to Washington, where they rested for 30 days. Gilbert Hays takes six pages in the middle of his book to list the dead, wounded, and missing in action of the 6rd’s eleven companies, from shortly after arriving at Washington, November 1, 1861, including all the battles to August 29, 1862. Though several familiar West Deer Township surnames are on the list, we’re so thankful not to see William or Samuel Gray’s names. By October 11, 1862, the refreshed and replenished 63rd was deemed fit for duty, and with reluctance left Arlington bound for Poolsville, Maryland, where bands of Confederates were carrying out raids across the Potomac for live stock and other provisions. What is now a bedroom community for the nation’s capitol was then at a disadvantage because of the shallow fords along the river, This would have been a likely place for southern forces to cross the Potomac and invade Washington. Christmas 1862 and New Year’s Day 1863 were spent in this location officially known as Camp Pitcher, in honor of a fallen major from the Maine Regiment. The particular area where the Pennsylvania regiments were stationed was at first called Camp Curtin in honor of their Governor, but was later changed to Camp Sickles to honor the Corps commander. The holidays were spent thinking of the loved ones back home, some extra provisions, a little music, and sporting contests, including mule races, for which prizes were awarded. On April 1, 1863, “The enemy was reported to be across the river in strong force,” and the men were ordered to be in preparation for immediate to move out. The order, it turned out, was an April fool’s joke, and the men were able to settle back in. The following week, President and Mrs. Lincoln conducted a grand review of the troops in full view of Fredericksburg, which the Confederates still held. On April 14, orders were given for the men to turn over all “superfluous” items for summer storage: bags, tents, clothing, and blankets. Eight days worth of rations were to be collected, five to be carried on their backs, and three in handbags for easy access. In summarizing their stay at Falmouth, the soldiers recalled two disadvantages when compared with earlier winter quarters: there was no nearby town, like Alexandria, for the men to visit for R & R; and the absence of firewood. After all the trees had been cut down and the stumps chopped up, the fires were stoked with anything that could be found. The weather was “extremely warm,” according to Hays, and each man carried heavy knapsacks with 8 days rations, 60 rounds of ammunition, muskets, and more, which totaled 40 to 50 pounds. As it turned out, the march into the woods had been intended to deceive the Rebs. The Yanks were on their way back to Fredericksburg, from whence they came. The good news was that many of the Confederate positions had been abandoned. The bad news was that the enemy also had taken to the woods and began firing on the infantry: “They opened upon us from numerous batteries and their shot ploughed the ground around us and shrieked over our heads and through our ranks.” General Sickles, in what Hays calls a “dliberate tone of voice,” orders out, “Boys, I think the enemy sees you — you had better take to the road.” Now under cover, and with the help of the big guns, “the Blue” were able to silence the Confederates by May 2nd. Pushing the enemy farther into the woods, the leaders of the Union forces knew that nightfall was coming and so order the movement to a halt and a short retreat to camp for the night. But panic soon set in as they realized that their lines had been outflanked by the Rebels under the command of Stonewall Jackson. The Union forces had no choice but to retreat to the edge of the woods, knowing that a deadly renewed struggle would begin again at daybreak. Gilbert Hays’ descriptions of the midnight attack at Chancellorsville are recounted in vivid detail, some too graphic for this article. He concludes by saying, “Our killed and wounded were left where they fighting fell, and there was no means of ascertaining definitely theit names or numbers. Several prisoners from our division were lost during the engagement.” This was the night and the place that the famous Confederate General Thomas Jonathan “Stonewall” Jackson was severely wounded and died the following week. Though the Rebels were eventually routed in what Hays says was “fighting seldom equalled during the war for fierceness and stubborness evinced in the charges and countercharges,” many of the Blue infantry were lost along with their commanding officers. 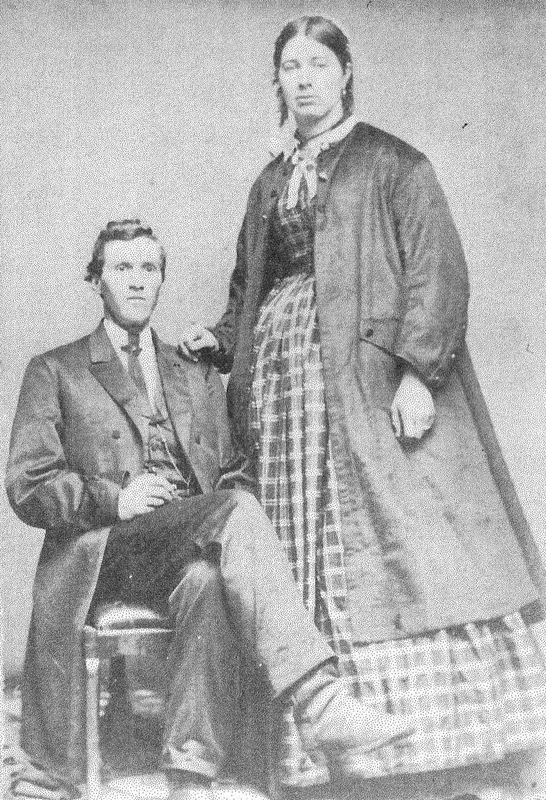 But, most importantly to the Gray family reader, Samuel was captured that night, along with his leader, John Danks, who had been promoted to Major in September, 1862. We know that the 63rd, including William Gray, returned to Camp Sickles to mend their wounds and prepare for the coming battles, including Gettysburg. More about that in a minute. They broke camp and started north on June 11, 1863. Meanwhile, Major Danks was marched south to the infamous Libby Prison in Richmond, but we don’t know if that journey included our Samuel. Libby takes in the captured Federals by scores, but lets none out; they are huddled up and jammed into every nook and corner; at the bathing troughs, around the cooking stoves, everywhere ther is a wrangling, jostling crowd; at night the floor of evry room they occupy in the building is covered, every square inch of it, by uneasy slumbers, lying side by side, and heel to head, as tightly packed as if the prison were a huge, imporobably box of nocturnal sardines. We don’t know how long Danks, and possibly Samuel, were held at Libby, but Hays offers that Danks “endured [these] privations for weeks” and soon after his exchange was promoted to lieutenant colonel June 26, 1863, and after Gettysburg to colonel. Danks returned to the fight and was wounded in the Battle of the Wilderness. We know that upon his honorary discharge, he returned to his small family grocery business in Etna, but soon left to be a minister and state legislator. He died in 1896. The next time we hear from Samuel Gray is in his letter home of July 26, 1863, exactly a month after John Danks’ release and promotion and three weeks after Gettysburg. See “Samuel A. Gray: Pt II – Letter from a Civil War POW Camp” for his exact wording. The letter actually refers to his location at that time as “Parole Camp near Alexandria, VA.” He writes that he hasn’t heard anything about his regiment since Gettysburg, but that, “I am well and expect to be exchanged soon.” The letter is apparently interrupted and Samuel starts again with his location as “West Chester, Penna, near Philadelphia,” which at first is confusing because that was obviously in Union territory. Furthermore, he says, “I think we will be exchanged the 6 of next month,” which would be in August. While we don’t know exactly what the practices or the locations of the parole camps were, Wikipedia says that the main Confederate camp was at Annapolis, MD. Was Samuel taken there? Apparently, several other transfer camps were built around Alexandria by the North, where Yankees were taken until formal exchanges were made. 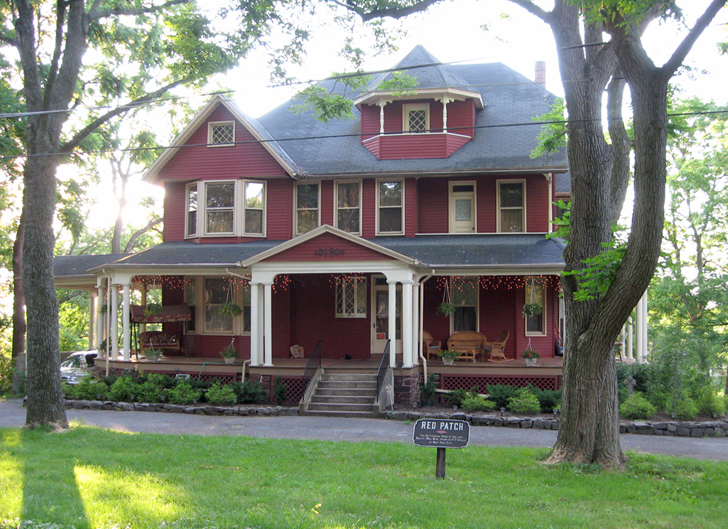 A temporary camp at West Chester also existed, called Camp Elder. The entire program was on the “honor” system and must not have been too bad because Samuel doesn’t seem to complain, although what he could write was possibly censured. 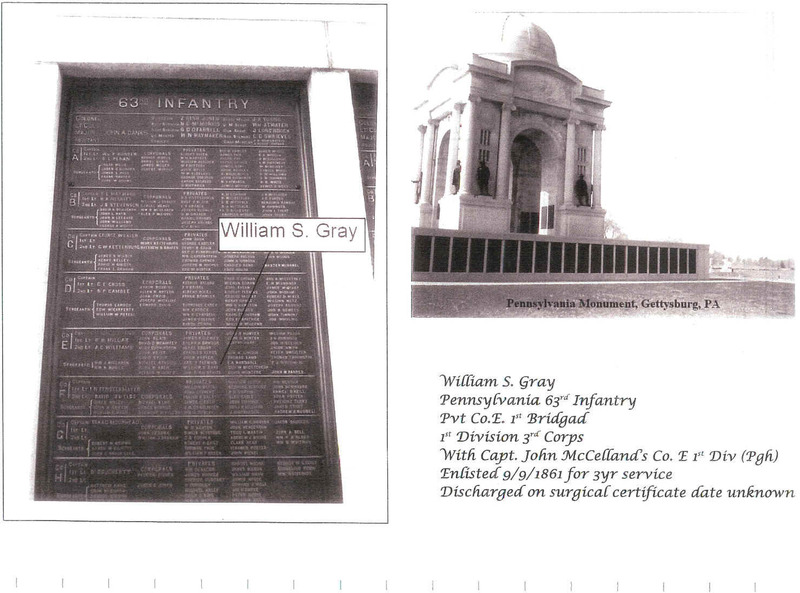 We do know that his father William fought at Gettysburg because of his name being inscribed on the Pennsylvania memorial there, as we see below. William was released from the military on November 15, 1863, on a surgeon’s certificate, probably just two months after his son Samuel’s exchange. Samuel wouldn’t be honorably discharge until his original term was up, August 1, 1864, the third year anniversary of his enlistment. The next afternoon, July 3, 1863, at about 2:00, the South began terrible cannon fire, which preceded Longstreet’s assault, or the famous Pickett’s charge. The 63rd was lined up just behind the artillery. After what seemed like hours of horrible exchanges, the Confederates fell back in defeat. The regiment had witnessed what Hays calls their “High water mark.” But the price on both sides was very costly. Fortunately, of the 275 men & 20 officers on duty that day in Gettysburg, including our William Gray, only 1 infantryman was killed with 3 officers and 26 privates wounded. Four privates were captured or missing in action, a total of 34 casualties. Gilbert Hays’ accounts of the Battle of Gettysburg are many, too much for this summary. You are invited to get a copy of his book online or in your favorite bookstore and read them for yourself. In my opionion, they are much more enjoyable than the stiff military reports found in Samuel Bates collection, but for the complete story, both are recommended. Of course, many other collections are available online, at your favorite bookstore, or at your local library. The Pennylvania 63rd Regiment from Etna was officially mustered out on September 9, 1864, after a month’s paid furlough. A final note in the record reports a “bounty paid each of the men of $60 and $13 advanced on pay due.” As of that date, the 63rd, as a U.S military organization, ceased to exist, but of course continued to hold reunions in the Pittsburgh area until most of the veterans had died. The unit officially participated in 39 battles, which Hays lists, from Pokick Church on March 5, 1862, to a heavy skirmish on August 14, 1864. Of the 1,341 men enrolled at various times, 883 were killed, wounded, or missing in action. I’m proud to be a descendant of William Sylvester Gray, Teamster, and a relative of his son Samuel Alexander, Infantry Private. Though their son and brother, my Great-grandfather Robert Patterson Gray’s time in his own 6th Regiment, Heavy Artillery, was short, I’m equally proud of his service to our country. There is so much more to learn from their experiences, and I look forward to sharing that in the coming years at this venue. Samuel P. Bates. History of Pennsylvania Volunteers. Wilmington, NC: Broadfoot, 1994. Symbols Rally the Spirit.” Army Information Digest. August 1961. &Gilbert Adams Hays. Under the Red Patch: The story of the 63rd Regiment, PA Volunteers, 1861-1864. Pittsburgh: 63rd PA Volunteers Regimental Assoc., 1908.